$175 plus $15.00 plus postage. Worldwide shipping available. ONLY 2 IN STOCK! 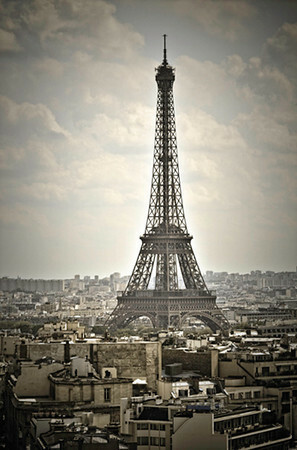 Eiffel Tower in Paris, France, as seen from the Arc de Triomphe. Each original canvas comes signed. Canvas is premium cotton-poly with 200+ year inks. Wrapped on a 1.5" stretcher bar system with Tyvek backing and mounting hardware.